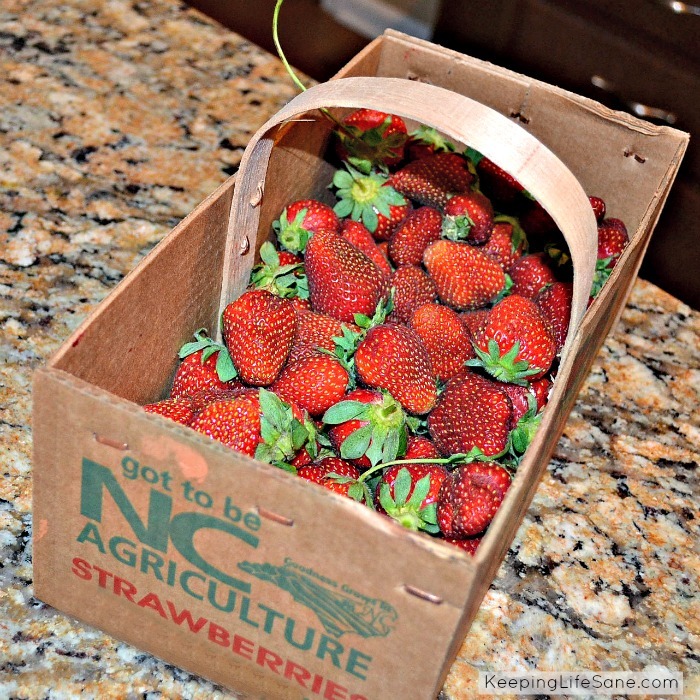 Strawberry season is here in North Carolina! We’ve been to the farm once already and I’m sure we’ll go back a few more times. 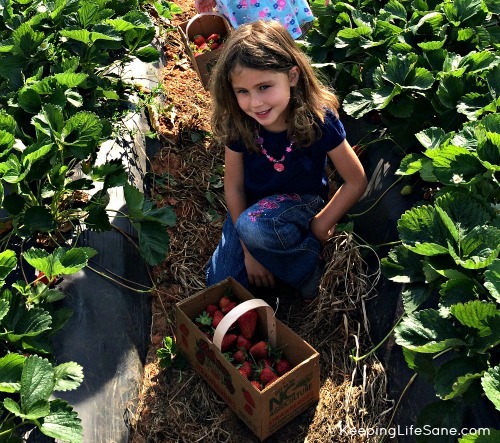 We live near the strawberry patch and we watch and wait all year for the little trailer to arrive and let us know it’s time to start picking. We are meeting up with some some friends to pick more so I decided I would just freeze the ones I already have. I don’t want them to go bad. 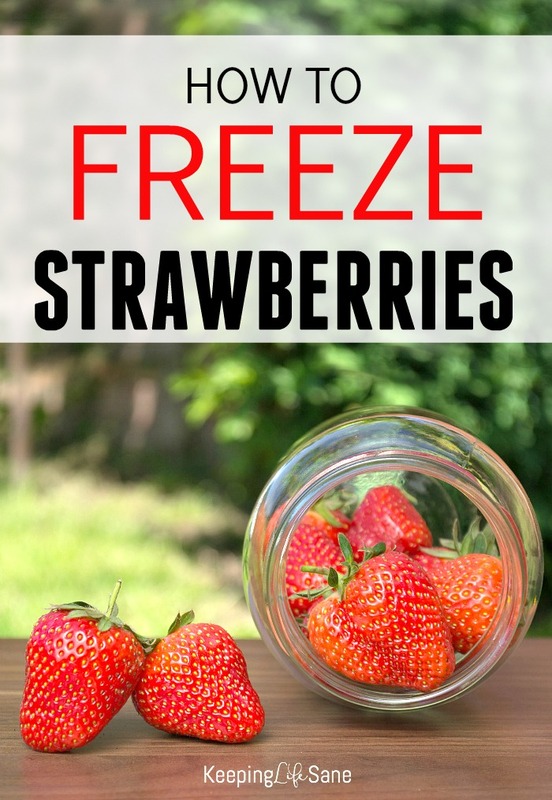 She didn’t know how to freeze strawberries so I thought I would just write it up for her! 1. 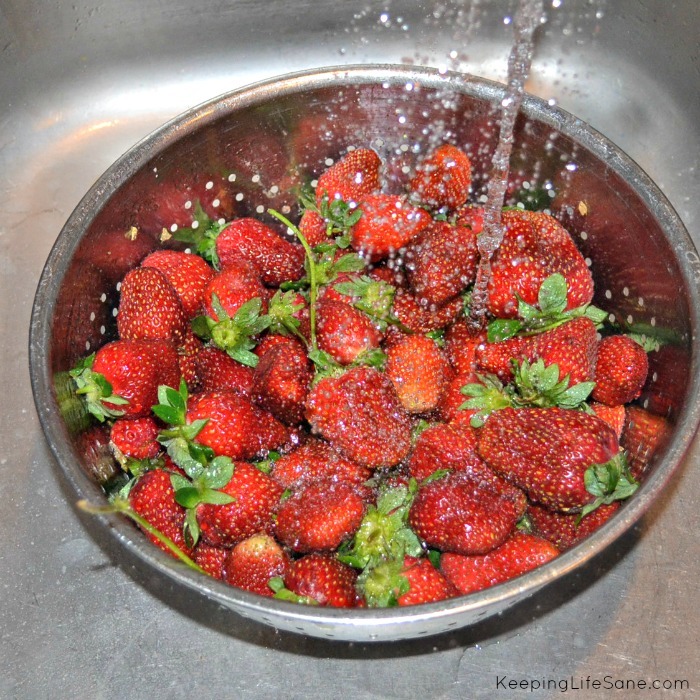 The first thing I do is wash the berries. I get any dirt and bugs off them. 2. I lay them out on a towel and let them dry completely. 3. Cut or pull the stems off. I just cut them because I can do it a little faster. This is the this cutting board I’m using. I love it and use it all the time. If there are any bruised spots, cut them out. If you wouldn’t eat them, then don’t freeze them. 4. Lay them on a cookie sheet. 5. Put in the freezer for a few hours. I usually just freeze them over night. I’ll take them out the next morning while I’m cooking breakfast. 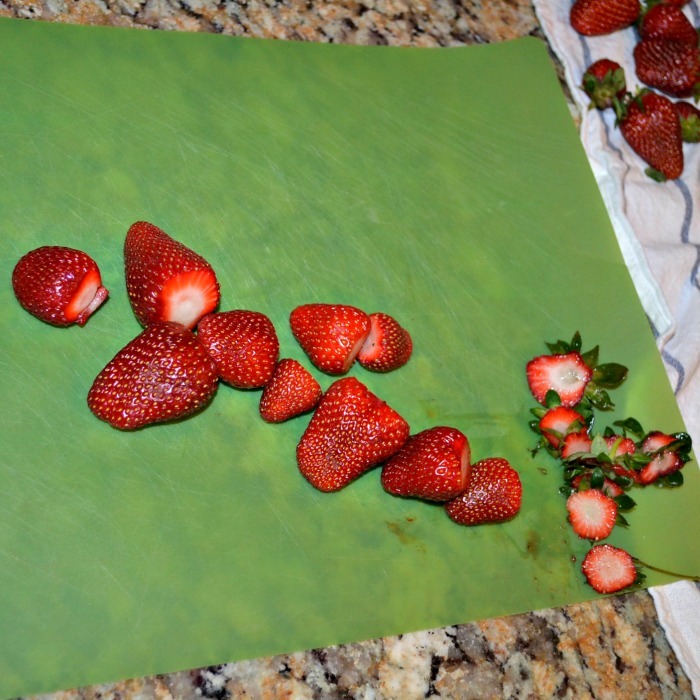 They will probably stick to the tray so just bang it on the counter a few times to loosen them up. 6. Store in an airtight container. 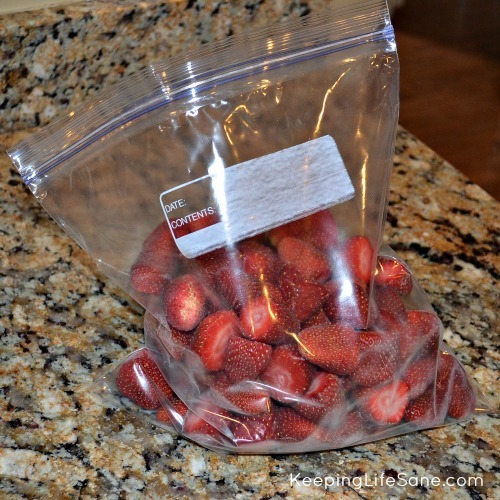 I just use gallon sized freezer baggies. 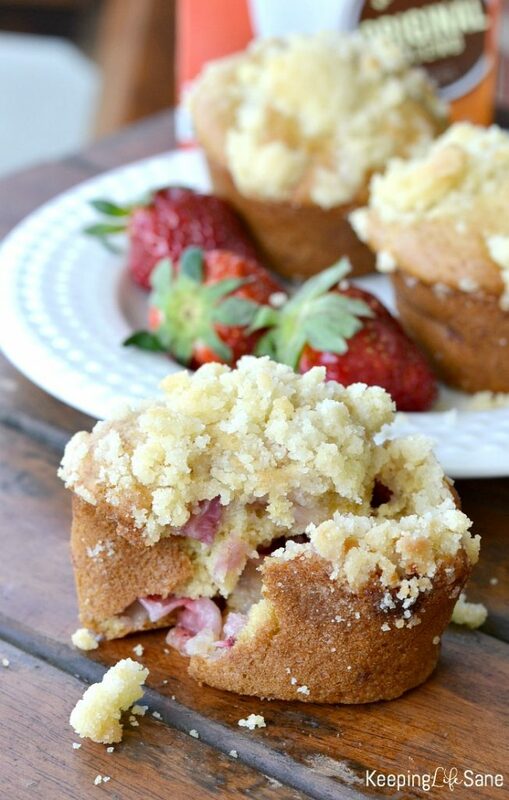 This is a great way to use all those delicious strawberries you’re going to pick this year. 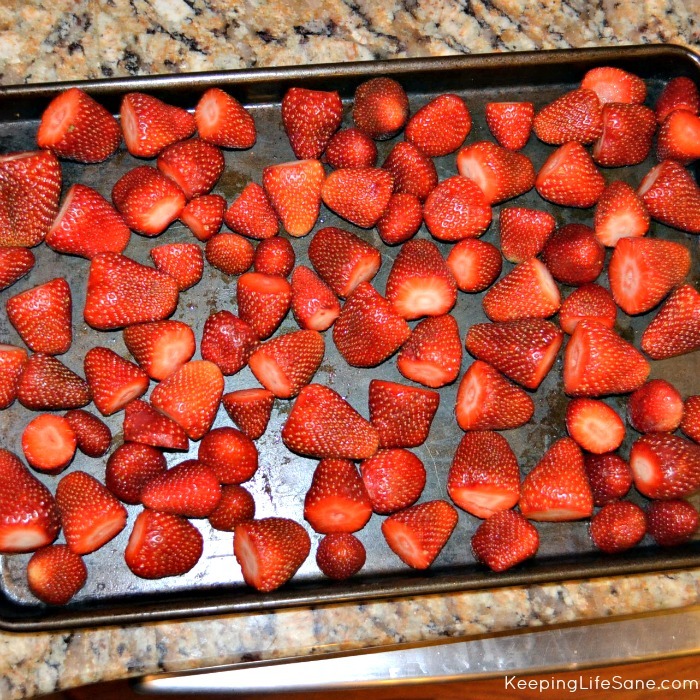 My family loves strawberries and we always have some in the freezer for smoothies. I try and stock up to enjoy them longer. Just in time…a friend brought me some picked strawberries recently! Thank you for sharing with us at Bloggers Brags this week. I’m pinning this to our group board on Pinterest. Have a great week! Those strawberries look so yummy! That’s the one thing I miss most about living in Washington state, was picking fresh strawberries. This trick would have helped the large Costco carton I bought last week that only lasted a few days. Thanks for the tip!! oh my goodness, those strawberries look delicious!!! They aren’t in season here yet but I can’t wait! This is great to keep around! So many people forget to lay them out and let them dry before they are frozen! Great tips! Just in time for strawberry season! thanks for sharing. Do you cover them on the tray in the freezer? I am going to try this. I dice mine and add sugar and vanilla to them in the ziploc bag and freeze them for milkshakes. Nope, I just throw them in there. I’ll have to try your milkshake idea! That sounds good.